Environmentalist Sonya Ghosh is saving the Abandoned Stray Dogs with the help of NGO. Ms. Sonya Ghosh has become an icon within India's growing network of animal life protectors and ecosystem advocates. Her best-known work is the food distribution system among the dogs living on the streets of Delhi. This task has a significant scope both for the protection of abandoned dogs and for the public health of the city of Delhi. 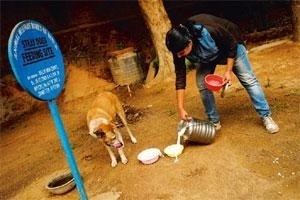 Ms. Ghosh is a language teacher at Delhi University and the resources she uses to feed stray dogs come from her salary. She brings love and care to abandoned dogs and, at the same time, offers substantial improvements to the city's public health. As an ecologist, Ms. Ghosh believes that human beings are responsible for dogs; from the moment domestication linked the life of canines to that of human societies. It is not only about feeding them, but it also involves monitoring and caring for the health of the dogs, preventing diseases that could affect the community. 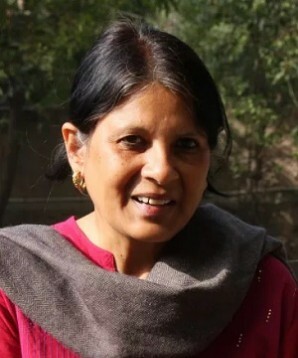 The campaign to feed street dogs led Ms. Ghosh to file several petitions with the Delhi High Court in 2009. During the process, the background to a deeper conflict was revealed. The repeated denunciations of Ms. Ghosh and environmental groups against the usurpers of public lands, the illegal deforestation, and the progressive destruction of the ecosystem generated the animosity of those who were affected by the work of the environmentalists. The year 2009 was a year of aggression and violence against the promoters of the initiative of organized feeding of street dogs. Faced with police inaction, canine activists suffered injuries and systematic obstruction of their activities. 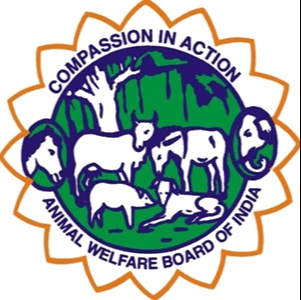 The petitions led to the pronouncement of the Animal Welfare Council of India (AWBI). This institution recognized the transcendental task carried out by the activists, as the monitoring of street dogs, achieved the sterilization of a significant number of animals and the decrease of attacks on humans by hungry dogs. The Animal Welfare Organization led by Ms. Ghosh achieved a significant triumph in December 2009. Judge V K Jain issued a provision directing AWBI to designate suitable sites for the establishment of dog feeders, which must be identified by clearly distinguishable symbols. The Judge noted that the feeders serve a function that benefits the community while exercising effective control over dogs in street situations. The judge also ruled that the police must protect volunteers during the hours set by AWBI to feed the dogs. Shortly thereafter, Ms. Ghosh was recruited by the Animal Welfare Council of India. The establishment of signs and timetables for canine canteens succeeded in reducing aggressions against activists by disgruntled residents. Additionally, the number of sterilizations and immunizations of dogs increased. The joint work between AWBI and animal activists promotes the constitution of volunteer committees to expand the number of canine canteens throughout Delhi. The balance for 2018 is the progressive decrease of abandoned dogs on the streets of Delhi. Until 30 years ago euthanasia was the procedure applied to control the stray dog population. But this procedure did not stop the increase in the canine population. Moreover, the Constitution of India strictly expresses the citizen's duty to be compassionate to all living things. For this reason, the establishment of canine feeders constitutes the execution of a constitutional mandate. In addition to the animal protection work carried out by Ms. Ghosh and her team, there are several NGOs in Delhi dedicated to the care of abandoned animals. 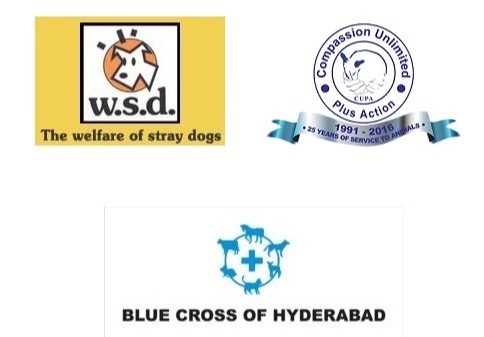 Organizations such as Welfare of Stray Dogs (WSD), Compassion Unlimited Plus Action (Cupa), Friendicoes, the Blue Cross of Hyderabad, the Asha Foundation and many others provide food, sterilization and vaccination services for abandoned dogs. Over the years, the work of volunteers has stimulated community solidarity with stray dogs. In markets, streets, restaurants, and many other places, people help to feed the dogs. But there is still a long way to go. There are still dozens of dogs on the streets that represent a risk for the inhabitants, given the conditions of abandonment in which they find themselves. Ms. Ghosh's goal is the care of each and every one of the dogs at risk. Ms. Ghosh is aware that in a city where malnutrition and hunger affect thousands of people every day, animals are considered expendable. She, therefore, believes that it is essential to work together with communities, explaining that the effects of poverty reach all living beings. The fight against poverty is the fight against diseases, hunger, and hardship that can turn a human being into a degraded being and a pet into a wild animal. In addition to the daily task of disseminating and maintaining Delhi's canine feeders, activists denounce the increase in theft of purebred dogs for illegal breeding. This is what is known as a "puppy factory". This practice subjects dogs to conditions of overcrowding and intensive breeding to market the offspring in the growing pet market. This new challenge is taken up by Mrs. Sonya Ghosh and the volunteer ecologist as a new obstacle to be overcome through permanent work and love for man's best friends.